Well, after months of research and reading through posts on this and other forums my project has officially begun. I would like to thank all of you for posting information about your projects progress. This makes life a lot easier for the rest of us in understanding what we are getting into. 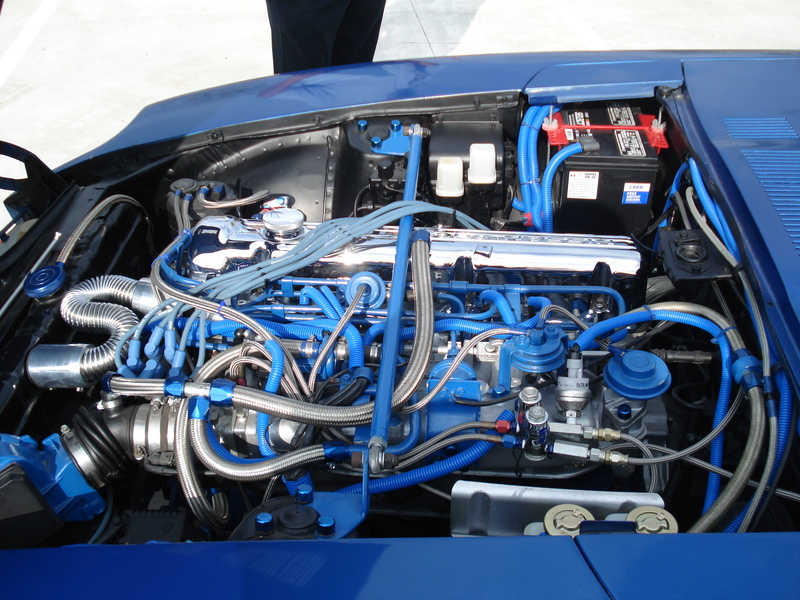 Install a stroked LS3 (416 CID 605hp/560ft. lb. 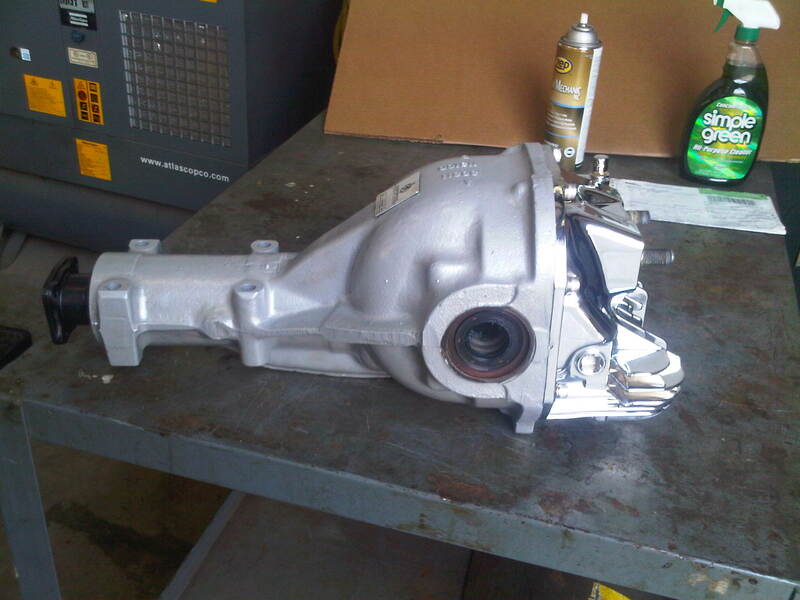 torque) and a T56 transmission on my S30. 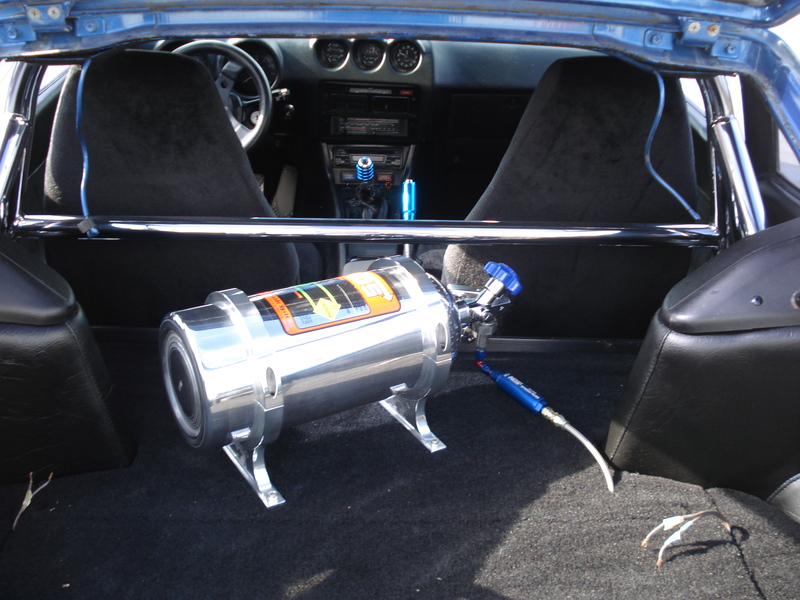 Install Bad Dog frame rails; have a custom aluminum tank built that will allow dual exhaust. 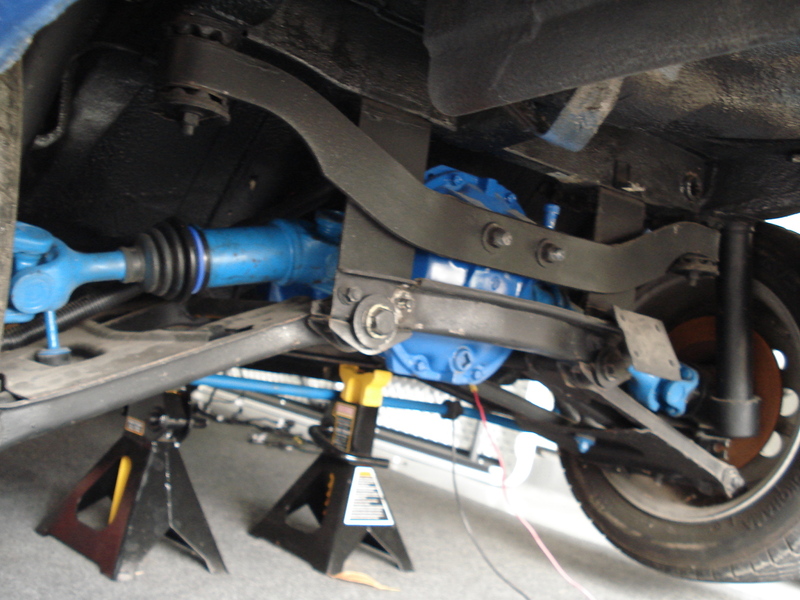 Fit a built R200 LSD with 300zx turbo axles and billet stub axles and adaptors. Send the body to a restoration shop for complete disassembly, paint and body work to be completed. Replace all weather stripping and send dash to be refurbished. Iâ€™m sure other things as well, I will update as I go. I plan on not cutting any corners on this build regardless of what it will cost, my estimate so far is between 45 and 50K, who knows I may be off there too. This is the second car I purchased and I have owned it for 23 years. The car means to me more than it will ever be worth therefore I donâ€™t care how much I spend on it. This project should take a couple of years since the body shop is telling me 6 to 8 months from the time they get the car. Here are some pictures of what Iâ€™m staring with. The car looks OK in the pictures but it is a long way from being done right. it is really nice project since i am doing same build as yours i would tell you go ahead and make it . Nice, good luck with your project. 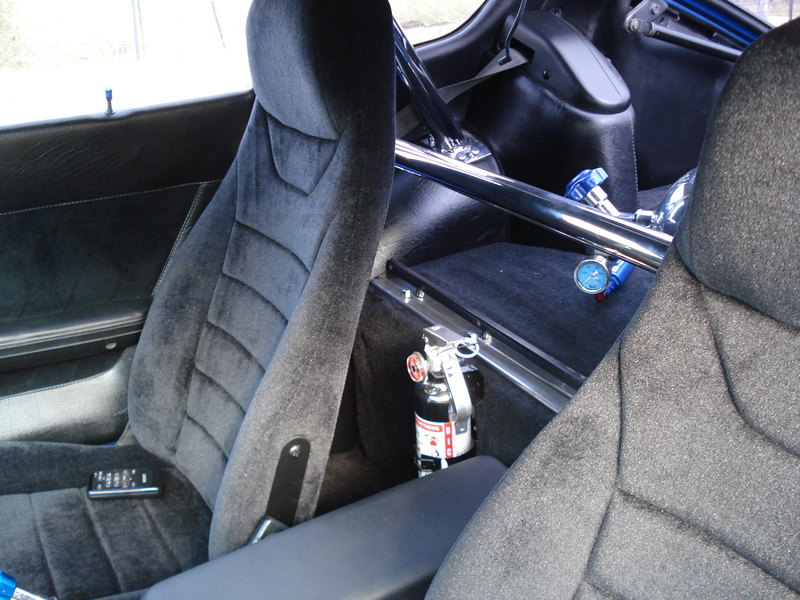 Looks like you are setting the car up for drag racing. 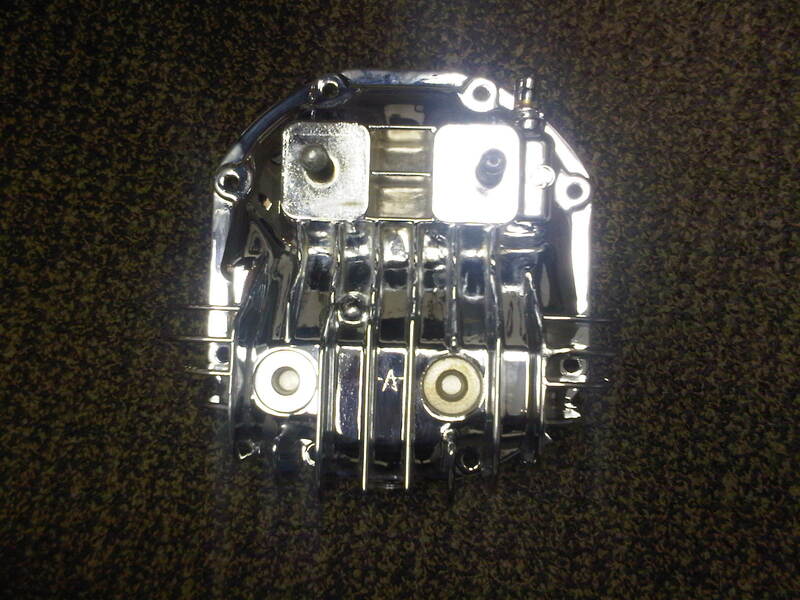 I removed the fuel tank and the 4.10 R200 (pictures attached) which I will be sending to John at Betamotorsport. He was kind enough to find me a 3.36 R200 to swap with. He will be installing the OGS Super Lock LSD on the 3.36 unit for me, powder coating the case and installing a chrome plated finned differential cover. I will post pictures of the unit once I receive it from John. I just received a set of 89 300ZX turbo axles yesterday. 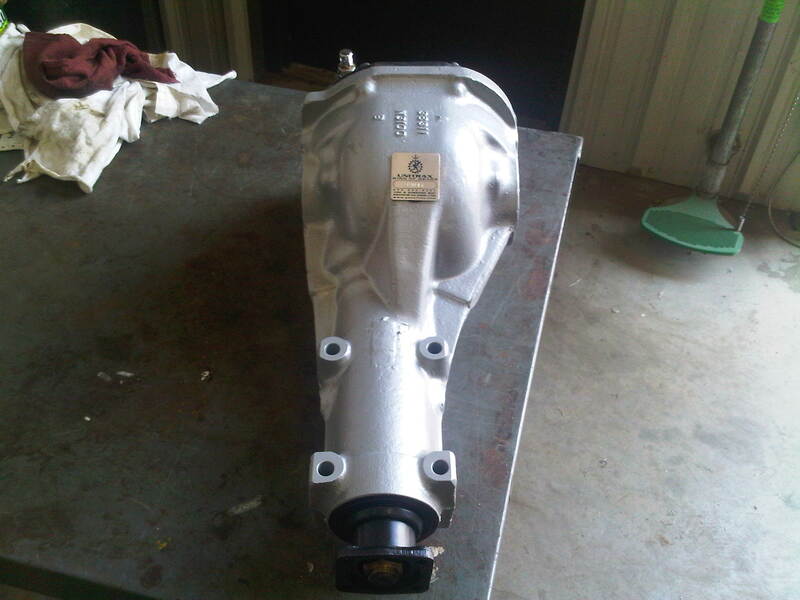 I will take them appart this weekend and send them to be powder coated to match the differential. One of these days when I hear back from Ross at modern motorsports I will be able to order the billet stub axles and adaptors. I will be very interested to watch your progress. It looks like you will have some of the same dilemmas I am facing. 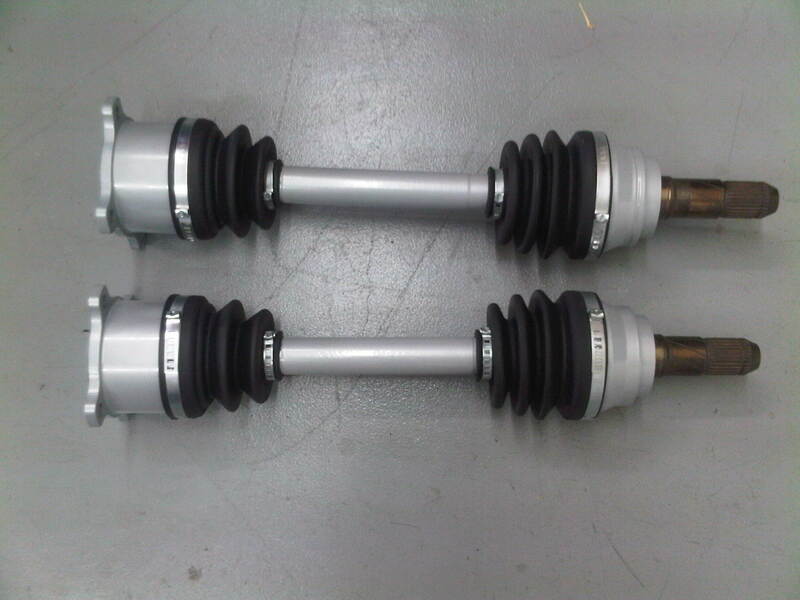 The first confirmed one is mating the Z31 CV shafts to the stub axles. I hope you are successful in cornering Ross as I too NEED that solution. You may want to up your total project budget by a few bills. My LS1/T56 ground up resto-mod project is projected to come in just shy of $40k with the drivetrain being free (purchased complete F-body and sold parts to cover its cost) and 95% of the work being done by yours truly (and 1 tuff z). Your car is SO SUPER NICE! Very tastful body mods. Ever think about starting with a car that hasn't already been fixed up so nice? Seems a shame to undo what you have done so well. Thanks for the compliment, all my Corvette friends think I'm crazy for what I'm doing. They say the car is nice as it is and to leave it alone. I'm doing it because the car has a certain meaning to me and I want to build a one of a kind Z out of it. I could not do that to another Z it just would not be the same. 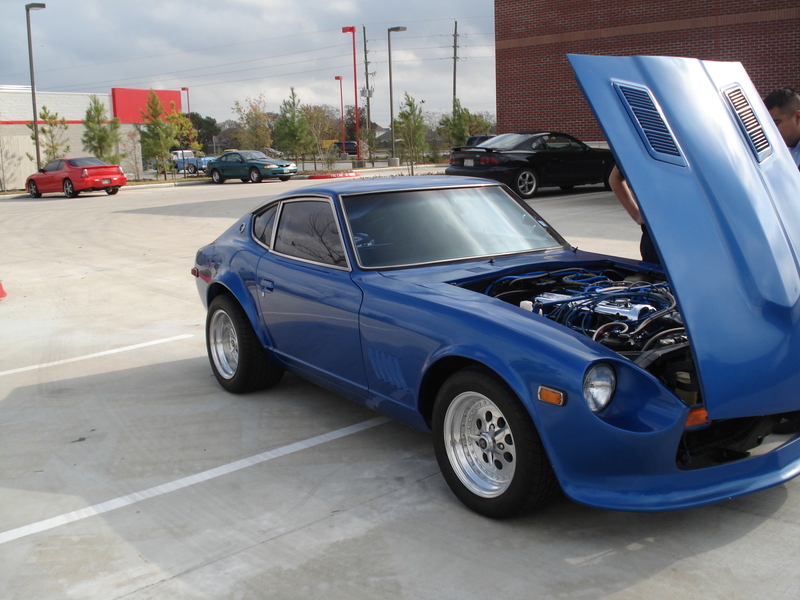 When finished the 240Z will have a greater horsepower to weight ratio than a new Corvette. 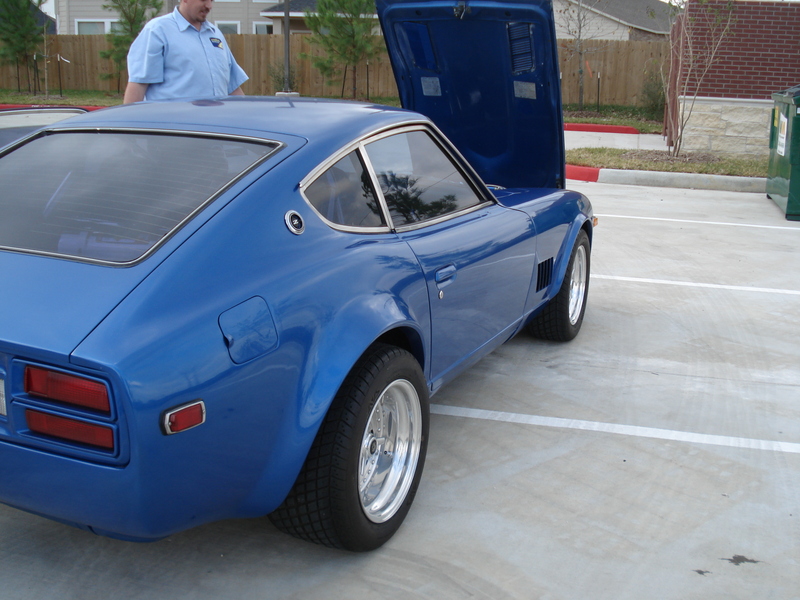 I also want a 240Z that is unique. Using a Gen I and started at a baseline of 500+ Hp/Tq and exceeded the baseline in valve lift (honest .600+), duration, solid vs hydraulic roller and fuel injection with 1000+ cfm throttle body. Hey Alainburon, just wanted to thank you again for the awesome deal on your old engine. Your Z is sweet the best I've ever seen. Truly unique. My old man still can't believe your throwing an ls3 in it. Thanks for the compliment and it was a pleasure dealing with you and your old man. The S30 engine and transmission are both out and sold. 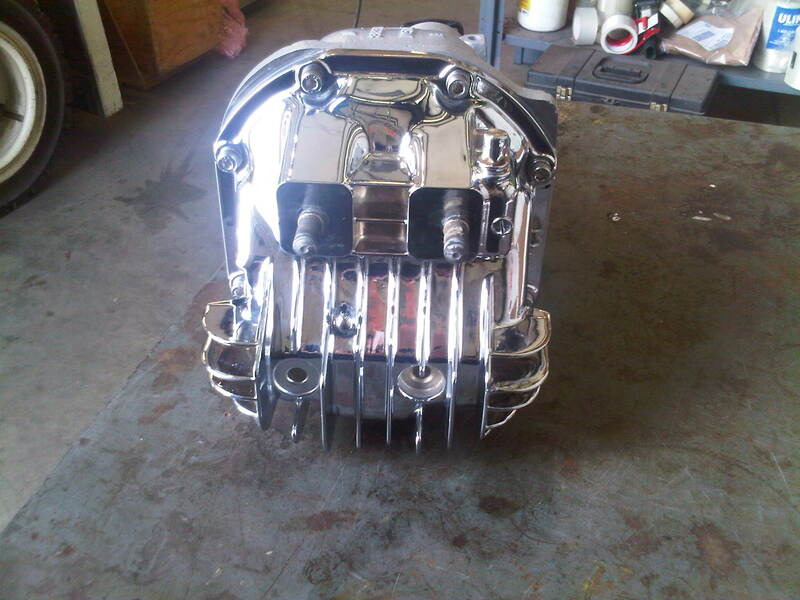 I received the Chromed R200 cover along with a new OEM diff. mount. Axles and drive shaft have been taken apart and dropped off at the powder coaters. Still waiting for a opening at the fab shop that's going to install the frame rails and build the new fuel tank. Still waiting for Modern Motorsport to answer my email from a month ago. Anyone know how to get a hold of Ross? That chrome rear cover looks fantastic!! Did you purchase it like that or send it away to be chromed? Thanks for the compliment. I sent it out to be chromed at a local shop. I just removed the wheels to send back to Centerline to be repolished. 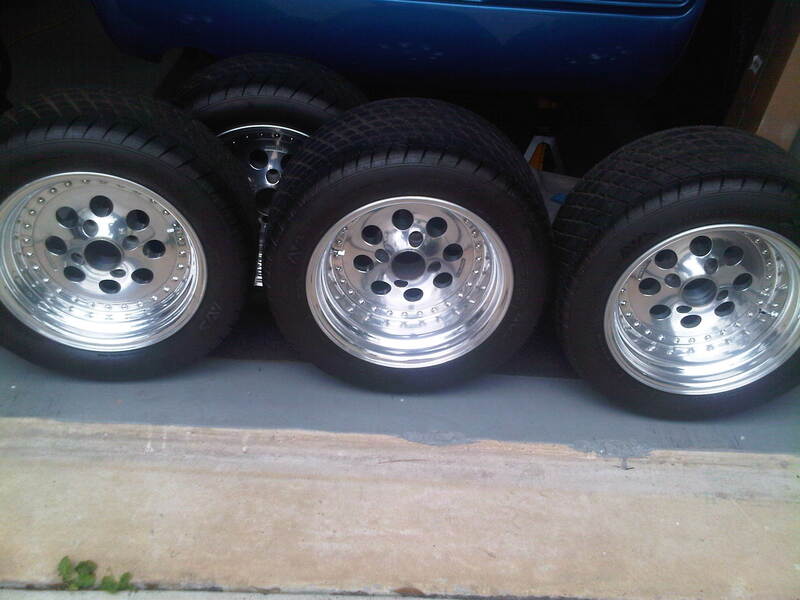 Waiting for my rear tires, I bought 4 just in case they stop making them. Had to order them from England since that size (285/40/15) is no longer available in the US but it is still being offered in Europe. Yokahama is making these tires in very small numbers for the European market only. Got my hood and pre-fitted it. Needs some work to get it right plus I need to open the front scoop. Hopefully that will force some heat out of the engine bay. Not spent but expected (projected) to spend. Clive is correct, I am being very meticulous about tracking and estimating this project. $24k so far and the car is still just a shell (actually I have a lot of the goodies to bolt on.) So how does it become nearly $40k. Purchasing a good Arizona car then starting with a complete ground up including soda blasting to bare metal, many coats of paint, lots of sound deadening and heat insulation, lots of carbon fiber bits, all AZC underpinnings, Brembo brakes from an EVO, Z31 R200, all new bolts & seals, long tube headers, LS1 modifications, Vintage Air system, roll cage, Corbeau bits, etc, etc, etc.... Suffice it to say I was shocked when I plugged everything into the spreadsheet. I would be more than happy to pass along the spreadsheet if it helps you. If I wasn't constantly working on this car I would actually start a build thread. Sorry for having not done that yet. 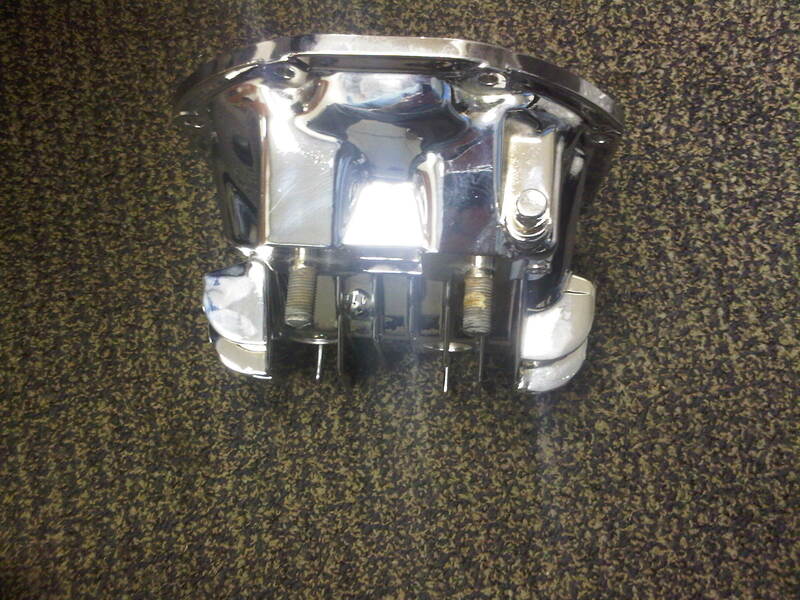 Hey, before you go nuts with a custom aluminum tank you should know that there's a readily available universal tank from Tanks Inc. that allows for the placement of dual exhaust. I had this system custom made with mandrel bends and Magnaflows and it fits fine around the tank. No doubt a much smaller investment than a custom aluminum job. That looks good, unfortuantely I had to put a deposit to get an apointment with the fab shop that is doing my aluminum fuel tank and welding the frame rails in place. 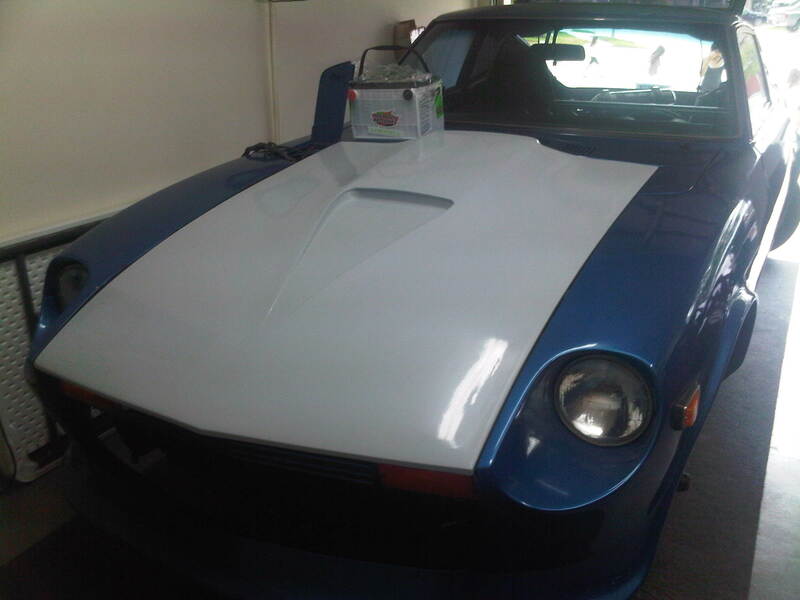 The tank is supposed to use the stock 280Z fuel sending unit since I want to maintain all my original gauges. I guess I'm too far into it to back out now. 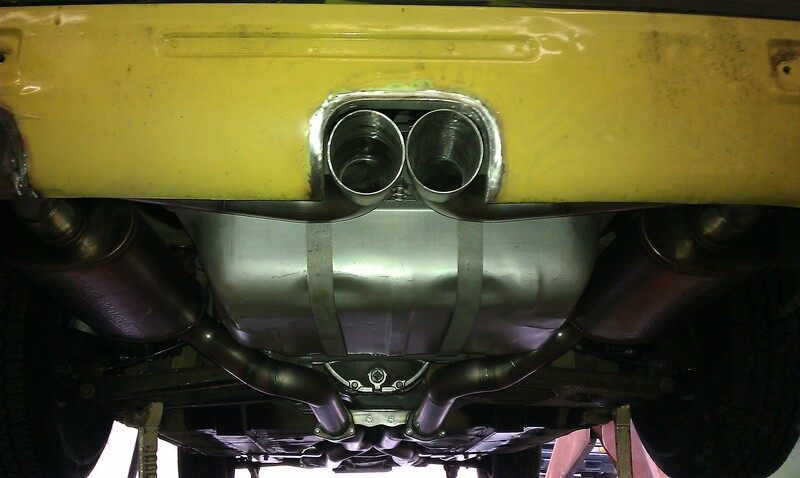 Great set up on your car, thanks for sharing your picture. Today I received the R200 back from John at Betamotorsports and I have to say I'm very pleased with his customer service and workmanship. 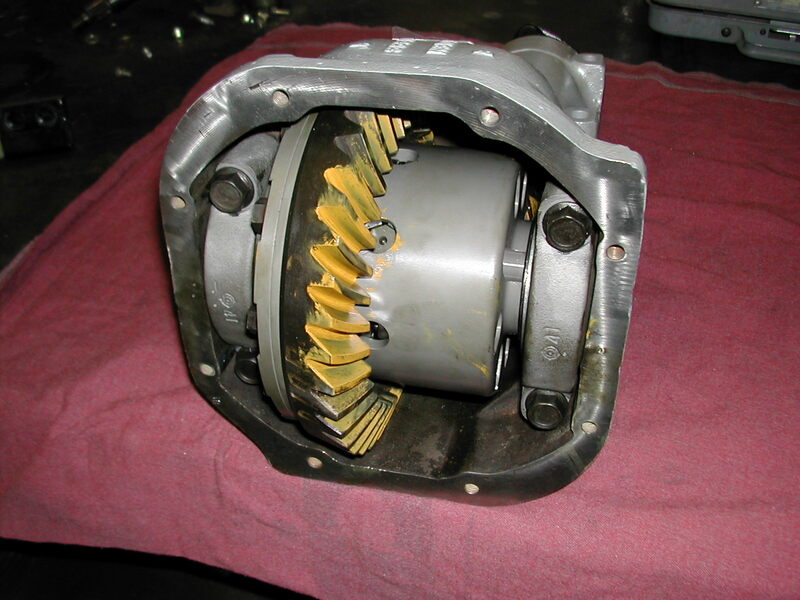 The R200 was completely rebuilt with new bearings, seals and a OS Giken Super Lock LSD unit was installed. 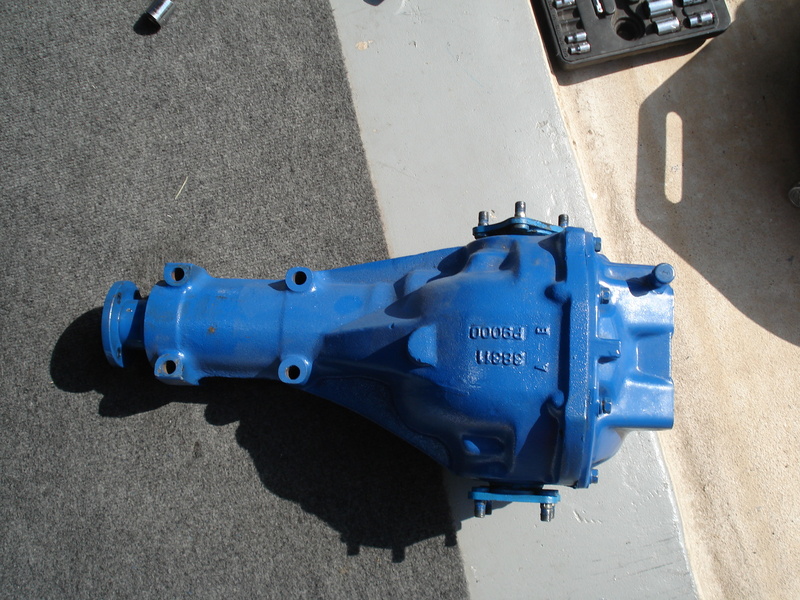 The case was powder coated to match the T56 transmission, driveshaft and CV axles. Still waiting on a opening at the fab shop for the frame rail and fuel tank work not to mention a reply from Ross at MM. I received the CV parts from Rockford CV's and the axles back from powder coating. I was able to assemble them without any issues and flipped both cages as per the MM instructions. 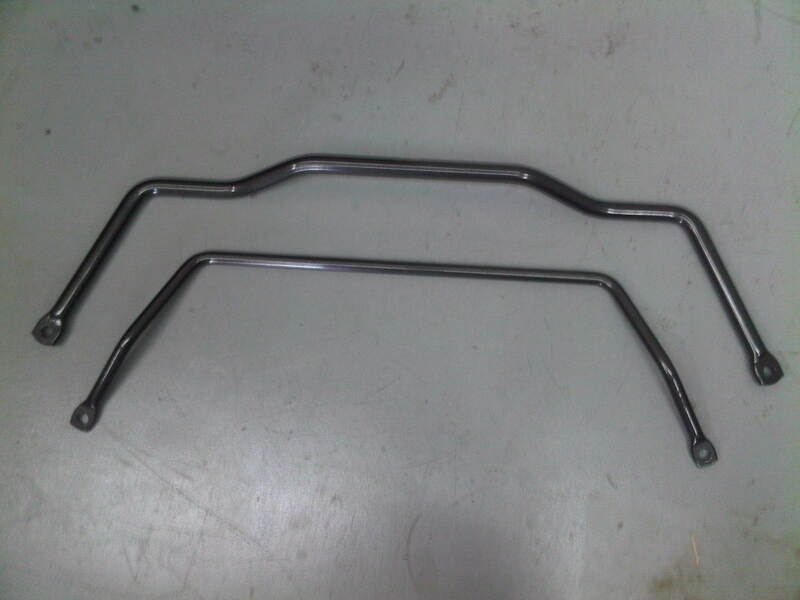 I also received the front and rear Suspension Techniques anti sway bars. So far I'm happy with the quality of all the parts I have received but I have to say my budget is alreadt shot. Oh well, I had a feeeling that was going to happen. You have got to have the prettiest rear-end on the planet. ...Did that sound a little funny? Seriously, think about putting a plexiglass window in floor your back hatch - seems crazy to put all that powder coating where nobody can admire it. At least put some mirrors on the floor of your garage. Looks great, hang in there and for goodness's sake, don't scratch anything! Thanks for the compliment. This car's main purpuse is street/show, it will never see rain, that's the reason for all the powder coating. I will try a represent my Z community well. How does one locate Rockford CV's? Are they on the Internet or is there an address and phone number? Please advise. Thanks.